Creating a recognizable brand on social media takes time and effort, and you have provided us with a lot of insights on how to do it. My blog is on reading and creating ebooks. I want to talk to people who want to read and/or write/publish ebooks (bloggers, aspiring authors etc). 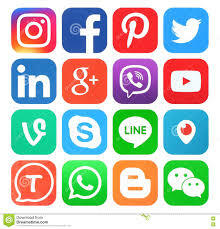 Which social media would you suggest I should target? Thank you for your kind comment. I would recommend focusing on Twitter. It’s easy to get a targeted following there and I believe it is a much underestimated platform. Facebook would be my second choice as it has great tools for targeting even though most people use it more as a social platform. If you want any more info on Twitter I can direct you to a proven free training that can get you up to 100 leads per day (if you are prepared to put in the effort).